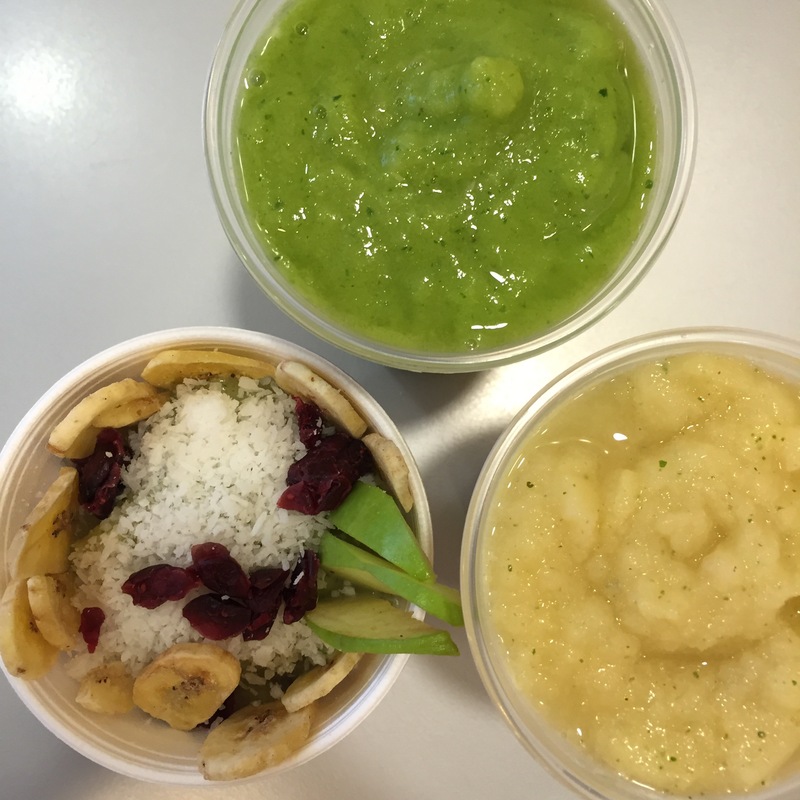 Robeks is currently offering three Spa Water menu items for a limited-time. “Robeks is excited to bring customers light menu items that offer incredible flavor,” said Robeks’ President David Rawnsley. The three Spa Water menu items include the Apple Ginger Allure (top right), the Refreshing Cucumber Mint (top left), and the Pineapple Ginger Delight (center). 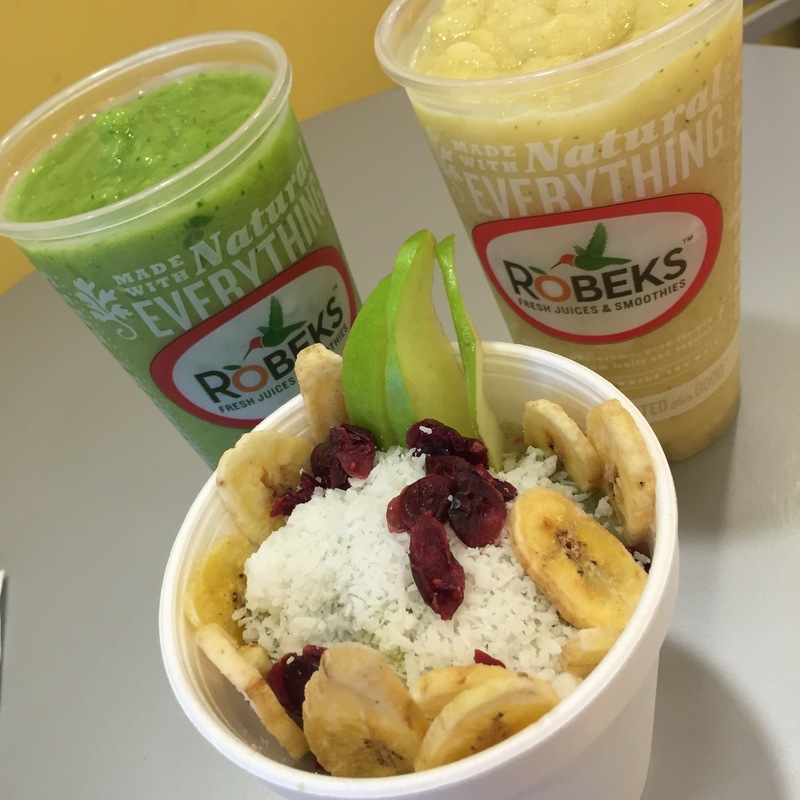 Each menu item in as created to give Robeks customers a low-sugar and low-calorie option. At 246 calories and just half the sugar of a regular (medium) smoothie, the Apple Ginger Allure is made with new Pineapple Ginger Spa Water, a Granny Smith apple, hand-picked fresh mint leaves, pineapple, banana, a touch of pineapple sherbet, and a squeeze of fresh lime. In this item you can really taste the flavors of apple and ginger which compliment each other better than I had expected in this unexpected flavor combination. “A balanced combination of new Cucumber Mint Spa Water, raw spinach, fresh cucumber, hand-picked fresh mint, pineapple, mango, banana, and a touch of pineapple sherbet,” the Refreshing Cucumber Mint smoothie has only 229 calories and half the sugar. This smoothie was my favorite of the three; the cucumber and mint flavors are light and refreshing – perfect for a warm day. To learn more check out Robeks’ website here. Disclaimer: I was invited by Robeks to try and review their product, but all opinions herein are my own.